At Kläger, injection molding expertise is allied to creativity and a desire to innovate. We process all the commonly used plastics and are able, through our modern range of in-house machines and our comprehensive tool management procedures, to assure a cost-effective process solution in all cases. 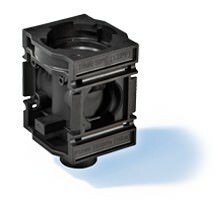 (25 – 220 Mp power rating) and this enables us to work with all the most commonly used plastics, high-performance plastics and technical ceramics. Depending on the requirements of product and process, appropriate machines with operating personnel, semi-automatic or fully-automatic systems incl. handling systems are available. Seamless operation, transparent production planning and seamless process documentation is assured by our Production Planning System in conjunction with our integrated system for recording operational data. 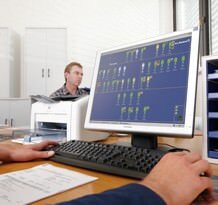 All machines are equipped with a terminal that connects them via control room to the Production Planning System. Comprehensive tool management is an important aspect of our responsibilities as a service provider. As well as proper storage arrangements, all tools are subject to an individual service and maintenance schedule. This includes repair work during the production process as well as cleaning operations in an ultrasonic bath or tool modifications based on the latest insights.